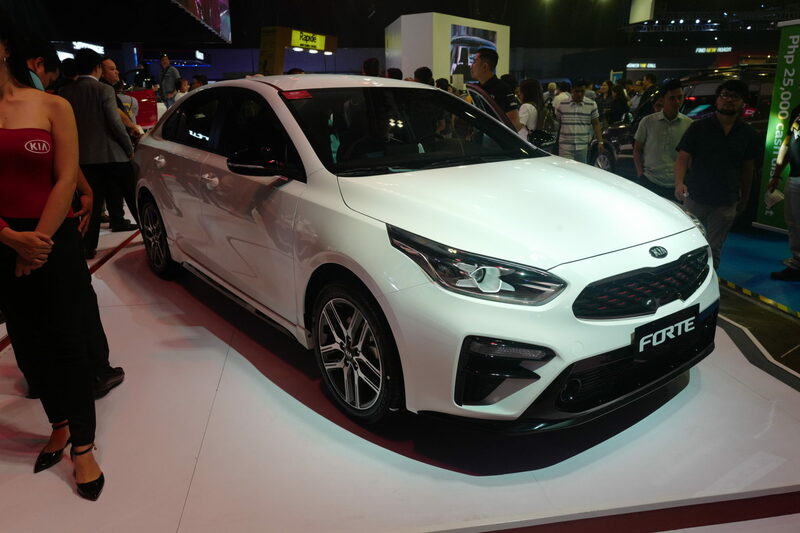 Prior to the launch of the acclaimed Stinger, Kia Philippines surprised at the MIAS as they pulled off the covers on the new Forte GT. Now on its third iteration, the Forte nameplate makes a serious comeback in the country with the introduction of a GT variant that packs a 1.6-liter, 4-cylinder turbocharged engine, putting out 200 bhp @ 6000 rpm and a maximum torque of 195 lb-ft @ 1500-4000 rpm. The Forte GT’s power plant is mated to a 7-speed dual clutch transmission. Exclusive on the Forte GT are 17-inch alloy wheels and GT front and rear bumpers. The grille is finished in the glossy black GT design, while the dual mufflers are coated in chrome. Akin to the Stinger, the Forte comes with Drive Mode Select for a more spirited driving experience. The interior comes with sport seats with red stitching, and an equally sporty-looking flat-bottom steering wheel. 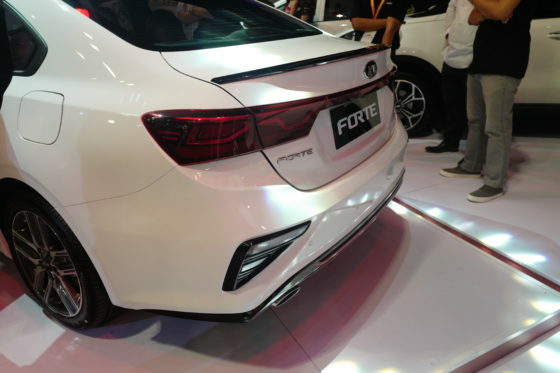 The all-new Forte is also offered in the LX and EX variants. Mated with a 6-speed automatic transmission, both lines have a 1.6-liter, 4-cylinder engine with 125 bhp @ 6300 rpm of power and 114 lb-ft @ 4000 rpm of torque. Standard safety features on the GT and EX are front airbags, rear camera, and ABS with hill-start assist control (HAC). Both trims are installed with LED headlights. Inside, the driver is greeted by a 4.2-inch instrument cluster, while the infotainment system across the three lines of the Forte include an 8-inch touchscreen display that comes with Android Auto and Apple CarPlay support. 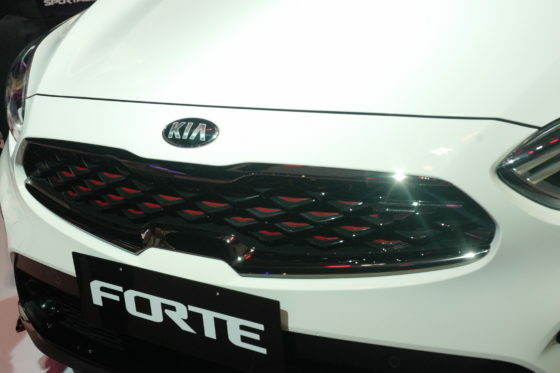 The Kia Forte is available in Clear White, Aurora Black Pearl, and Runway Red for the GT and EX lines; Clear White, Steel Gray, and Gravity Blue for the LX Line.